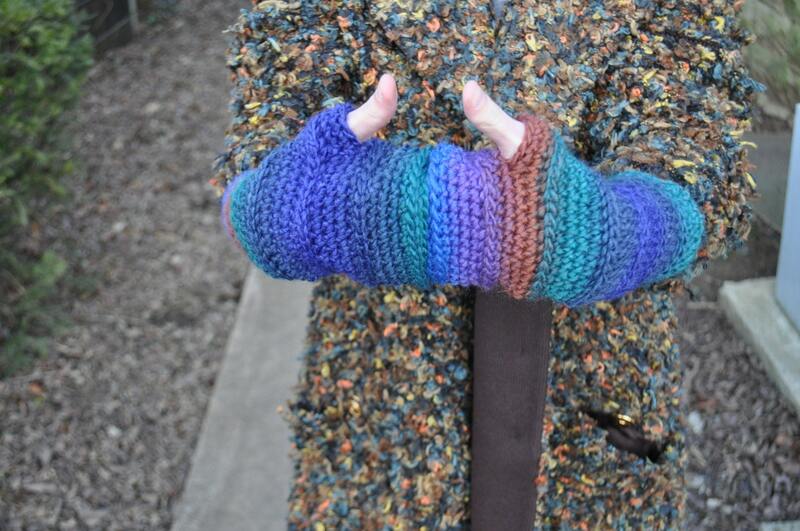 These gloves are a really quick and easy to make! They can easily be completed in an afternoon or two. They will fit most adult hands. 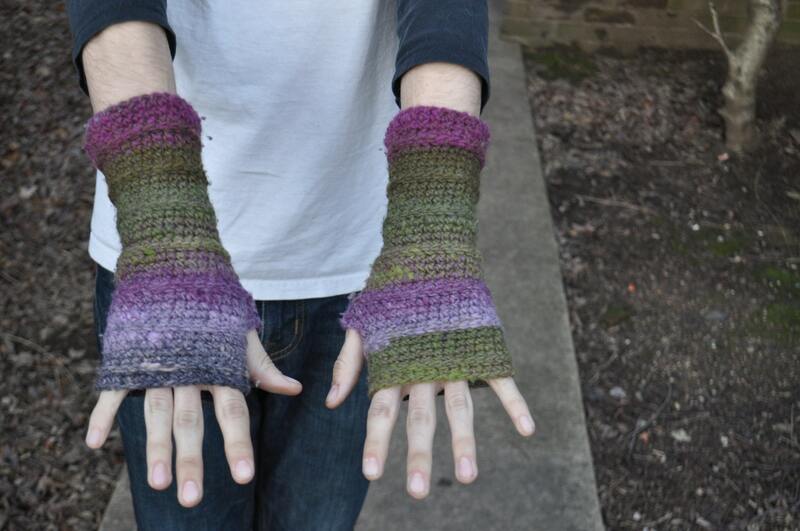 The photos show them on both mens and women's hands. 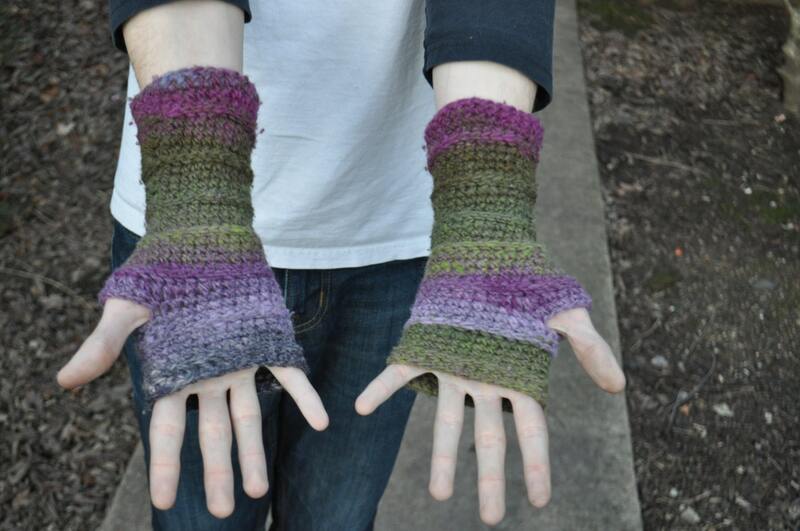 The pictured gloves were made using a self-striping yarn. 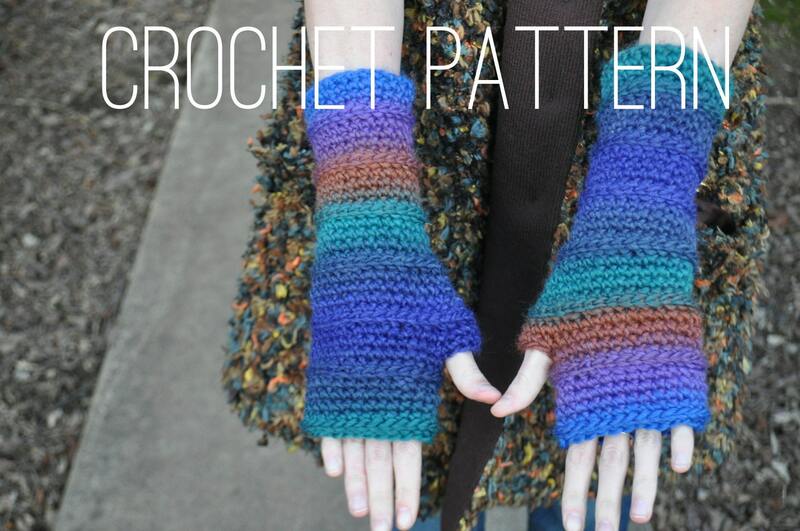 The pattern will be available for instant download after purchase. if you have any issues downloading it please contact me. This pattern may not be copied, edited, or redistributed without my permission. I recommend hand-washing all crochet items in COLD water and laying flat to dry. 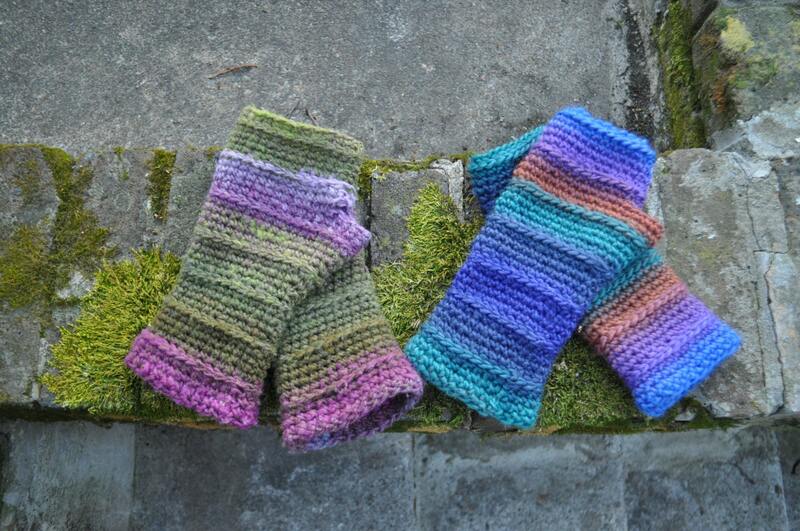 Washing your hand-dyed or wool items in hot water or in the washing machine may cause color bleeding or felting - Please care for your items appropriately!! Custom orders are available on a case-by-case basis. Please contact me with your ideas for more information. Sizing for clothing items are generally listed on each individual item listing. Customized sizing is available for custom orders. My hats and hoods are, for the most part, one size fits all. If you have any questions about how an item might fit you please feel free to contact me. I haven’t picked up a crochet needle in 25 years. The pattern was very easy to follow. I got a lot of compliments from friends and family while marking them. This project went quickly and looked great, boosted my confidence! I love this pattern! Very easy to follow, works up quick, and looks great. Thank you.